Scientists across several disciplines, including geology, biology, and evolutionary biology, have determined there have been five major mass extinction events throughout the history of life on Earth. All of these mass extinction events have been caused by various catastrophes that are actually very similar. In order for a mass extinction event to be considered a major mass extinction, more than half of all known life forms at that time period must be completely wiped out. This makes way for new species to emerge and take on new niches. Mass extinction events drive the evolution of life on Earth and shape the future of natural selection on populations. Some scientists even believe that we are currently in the middle of the sixth major mass extinction event right now. 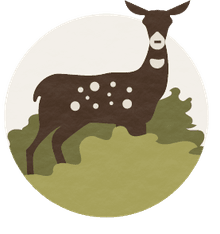 Since these events often span millions of years, it is possible the climate changes and Earth changes we are experiencing in the present day are actually accumulating several extinctions of species that will be seen in the future as a mass extinction event. Probably the most well-known mass extinction event is the one that wiped out all of the dinosaurs on Earth. This was the fifth mass extinction event and is called the Cretaceous-Tertiary Mass Extinction, or the K-T Extinction for short. Even though the Permian Mass Extinction (also known as the "Great Dying") was much larger in the sheer amounts of species that went extinct, the K-T Extinction is the one that most people learn about due to the fascination of the general public with dinosaurs. The K-T Extinction is the dividing line between the Cretaceous Period that ended the Mesozoic Era and the beginning of the Tertiary Period at the start of the Cenozoic Era (which is the era we are still currently living in). The K-T Extinction happened around 65 million years ago and took out an estimated 75% of all living species on Earth at the time. Of course, everyone knows the land dinosaurs were all casualties of this major mass extinction event, but many other species of birds, mammals, fish, mollusks, pterosaurs, and plesiosaurs, among other groups of animals, also went extinct. However, it was not all bad news for those that did survive. The extinction of the large and dominant land dinosaurs allowed smaller animals to survive and thrive once it was clear. Mammals, in particular, benefited from the loss of the huge dinosaurs. Mammals began to thrive and eventually that led to the rise of human ancestors and eventually all of the species we see on Earth today. The cause of the K-T Extinction is pretty well documented. An unusually high number of extremely large asteroid impacts were the main cause of this fifth mass extinction event. The evidence can be seen in various parts of the world in layers of rock that can be dated to this particular time period. These layers of rock have unusually high levels of iridium, an element that is not commonly found in large amounts in the Earth's crust but is very common in those high counts in space debris including asteroids, comets, and meteors. This layer of rock has come to be known as the K-T boundary and is universal. By the Cretaceous Period, the continents had drifted apart from when they were all one supercontinent of Pangaea in the early Mesozoic Era. The fact that the K-T boundary can be found on different continents indicates the K-T Mass Extinction was global and happened rather quickly. The impacts themselves were not directly responsible for the extinction of the 75% of the species that were alive at that time. However, the long-lasting residual effects of the impacts were devastating. Perhaps the biggest issue the asteroids hitting the Earth caused is something that has been termed "impact winter". The extreme size of the space debris that fell to Earth managed to vault ash, dust, and other debris that essentially blocked out the Sun for long periods of time. Plants could no longer undergo photosynthesis and began to die off. With the dying of the plants, animals had no food and also began to starve to death. It is also thought that oxygen levels may have declined during this time as well due to the lack of photosynthesis. The lack of food and oxygen to breathe affected the largest animals, like the land dinosaurs, the most. Smaller animals that could store food and need less oxygen survived and then could thrive when the danger had passed. Other major catastrophes directly caused by the impacts include tsunamis, earthquakes, and possibly increased volcanic activity. All of these devastating events added up to create the results of the Cretaceous-Tertiary Mass Extinction event. 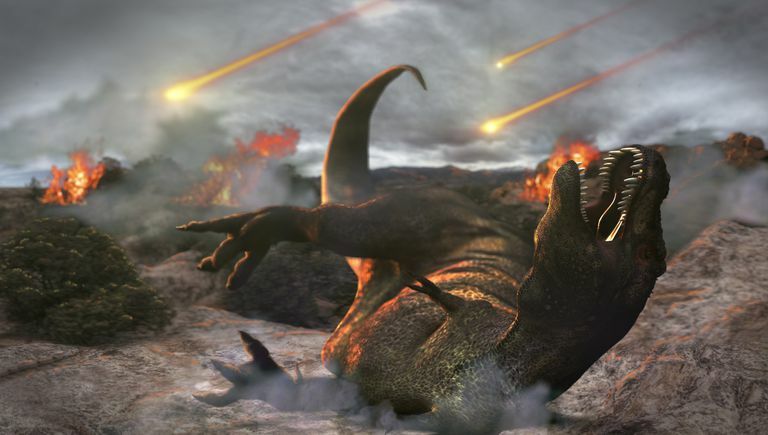 Did Exploding Stars, Gravity, or Thin Eggshells Kill the Dinosaurs? Did You Know That You Live in the Cenozoic Era?